"My name is Ruth Thomas and I am deputy Chair of the Save Sekhemka Action Group. I speak in support of the motion to redisplay the statue of Sekhemka. Northampton Museum needs some good news ! The last year has not been a good one for the museum. The bad publicity surrounding the proposed sale of Sekhemka has given the museum national and international notoriety. The reputation of Northampton Museum has been tarnished. The reasons put forward by the council for the removal of the statue from display include the expense of insuring it. 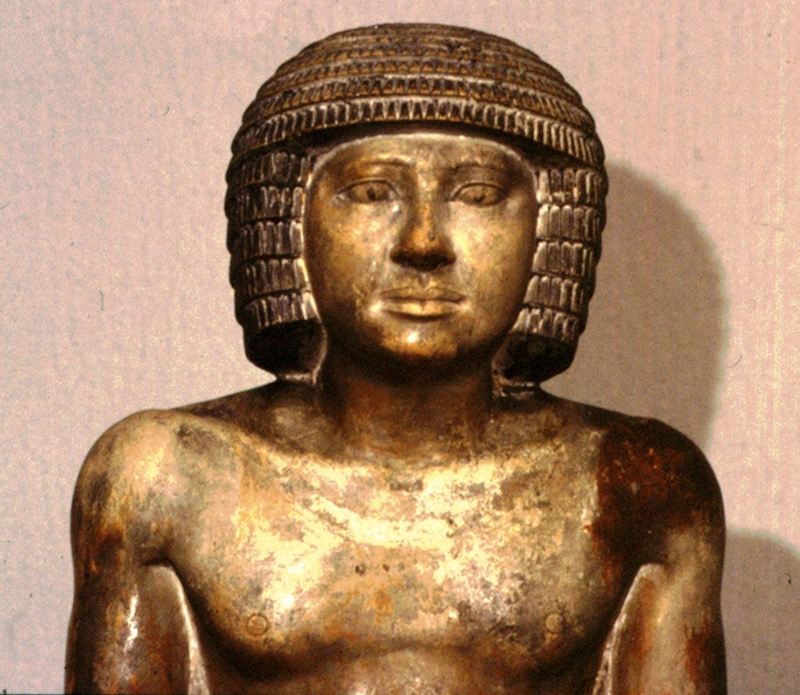 However, a Freedom of Information request to the council has revealed that the insurance cover in 2010, the year when Sekhemka was still ondisplay, was actually lower than it had been previously. Furthermore, no additional security arrangements were imposed by the insurers. The Friends of the Museum have already offered £8,000 towards the purchase of an even more secure display case. If the morality of the decision to sell were not enough, the legality has now become the key issue. The Deed of Gift of 1880 has strict provisos regarding the collection and preventing its disposal. For nearly three years the statue of Sekhemka has not been displayed and, even worse, no member of the public has been allowed to see it. This is in contravention of the 1880 Deed of Gift which states that it be “accessible to the public at all proper times”. This council has been accused of not listening to people. A change of heart would not be regarded as a sign of weakness but an indication that common sense has prevailed. A large body of informed opinion supports the redisplay of Sekhemka – he is now known throughout the world. There is no other object in Northampton Museum which receives such popular attention. His redisplay would attract many visitors to Northampton Museum from within and outside the town. There would be a vast amount of really good publicity for Northampton Museum and a reawakening of interest in the ancient Egyptian collection - and the Borough Council would be respected for its good judgement." The motion was defeated. Three people spoke in favour of the redisplay but the motion was defeated by a Conservative majority. The leader of the council David Mackintosh said that the council are determined to auction the statue as soon as possible. One from Leicester saying they cannot get involved because they were commissioned by NBC to write a report on the “Significance of Sekhemka”; they cannot let us have a copy because they do not own the copyright. NBC has refused our FoI request because we have “overspent” our allocated time and money on this subject! One reply from Birmingham which is positive and they will try to obtain access – thank you and GOOD LUCK! The final reply came from the British Museum’s Egyptian and Sudan Department. The say their present research does not include this period of Egypt so they will not ask for access, nor do they wish to get involved due to the iffy ownership. What about the rest of our UK museums? Those we have contacted and those yet to be e-mailed – do you not care about this issue? We know that every museum in the country has funding issues but selling off collections is surely the very LAST resort? Especially if one does not know if one OWNS the object? No doubt the museum world is glad that a 69 year old grandmother and her colleagues are fighting this battle to set a precedent without endangering museum money BUT you could help! Please help us by telling us WHERE – in addition to the British Museum and Lord Northampton’s archives – we can find reliable information on the 2nd Marquess’ Egyptian Collection and its “life” in particular the periods 1870 – 1880 and 1880 – 1899. This may seem a parochial matter but it will ultimately affect ALL of you: Local Authority run establishments as well as the giant trusts.